Here is one of my older photos, I believe I shot this photo when I practiced after I got my first DSLR camera. The bunny with blue eyes is one of the family pets. 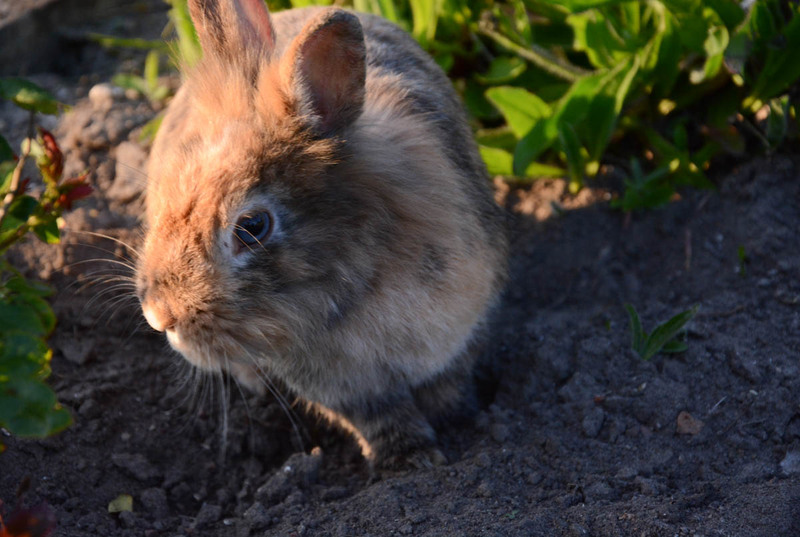 It’s the pet of my stepbrother and he did let the bunny play in the garden for some hours. It’s funny how much pets we have in our family, I guess you could also call it the family zoo. The perspective and angle of the photo is strange, but for some reason it makes it look special or different. I thing the low angle of the sun gives it just the right amount of light and shadow. Yeah, it was taken short before the golden hour, that’s maybe why it looks ok with the light.